A circle is a shape in which all points on its plane are equidistant from its center. 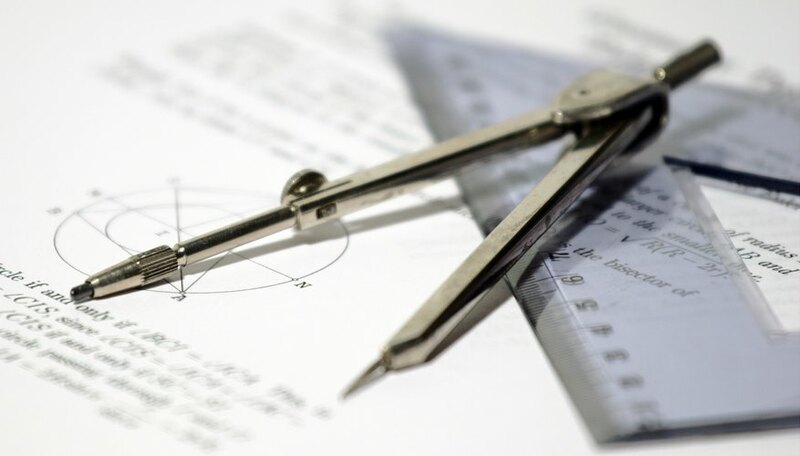 Circles are often studied in geometry when students are learning the basic principles of a circle, which are the circumference, area, arc and radius. Math circle projects vary from angle projects to area projects, each providing a lesson in circles. Have students cook miniature pizzas using English muffins, tomato sauce, cheese and pepperoni. Once the pizzas are complete, have students measure the radius of their pizzas. Inform your students that each area for each muffin will be different. Have students square each radius and multiply by pi. Students will identify the basic parts of a circle using food, plus apply their circle math terms. Using rulers, markers and poster board, have students draw, color and construct an analog clock. Instruct students that each clock must provide an original theme, for example, a sports clock, a music clock, an artist clock or a antique clock. Instruct students that they are to place the numbers and hash marks on each clock. Using their knowledge of angles, students are to label the angles on a circle. Ensure students label the degrees in increments of 15. Using basketballs, soccer balls, tennis balls and volleyballs, have students measure and find the circumference for each ball. Instruct students that they are to record their results, including radius, diameter and circumference for each ball. Inform your students that they are to draw each ball on a poster board showing their results. Have your students find the new circumference of each ball if the diameter were changed by 10, 15 and 20 centimeters. Assign each student a circular object. Objects may include basketballs, planets, globes, cookies, pies and pizzas. Have students measure the object to find the circumference and area of each. Inform students that they are to label the parts of the circle, including radius, diameter, chord, arc, origin, sector and tangent of a circle. Bonilla, Richard. "Math Projects Using Circles." Sciencing, https://sciencing.com/math-projects-using-circles-7915600.html. 24 April 2017.